From Haltom to South Hills to Crowley – few have consistently succeeded in Fort Worth like him. JJ Resendez was just a few credits short of graduating from Southwest Texas State in the fall of 1997, and decided to return home to finish up the last handful of freshman-level courses he needed at a community college in Fort Worth. At the time, Resendez – a 23-year-old Haltom High School alum – was working at a local 24-Hour Fitness as he completed his undergraduate degree. Like a lot of 23-year olds, Resendez said he didn’t really have a plan for his future at the time. 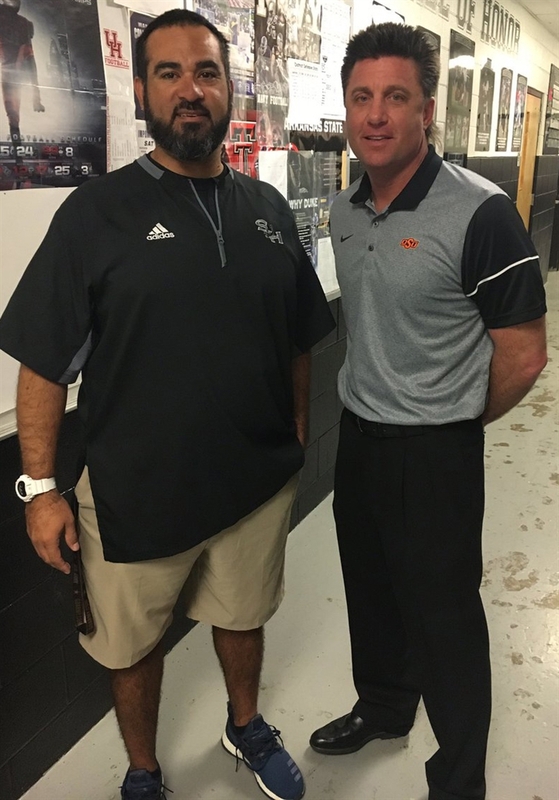 But a chance encounter with one of his former Haltom teammates changed his outlook and provided a spark that set him on the path to one day become a head football coach. Resendez was walking around mingling with his clients in the gym one day when he ran into an old friend in Allen Vaughn. The conversation was an eye-opener for Resendez, and he said he turned in his two weeks’ notice later that day. Not long after, Resendez found an opportunity to get into teaching by substituting at Haltom. As a substitute at his former high school, Resendez caught the eye of his former principal and was given the opportunity to lead three math classes for seniors who had struggled passing the TAKS test. Resendez said all 75 seniors he taught ended up passing the test in the spring, which reinforced his decision to pursue teaching and coaching full-time. He was eventually hired as a defensive coordinator, track coach and seventh grade biology teacher at Smithfield Middle School in the fall of 1998. Photo courtesy @ResendezJJ on Twitter. Resendez felt comfortable with the football knowledge he built after three years at the middle school level and began looking for opportunities to join a high school staff. He reached out to the legendary Leo Britain, who was at Richland, and Haltom’s Jim Shewmake to see if there were any positions open on their staffs. After speaking with both coaches, Resendez was motivated by a piece of advice Shewmake gave him during a phone call. Resendez spent the rest of the spring bouncing back and forth between spring practices at Haltom and Richland while still teaching at the middle school level. Shewmake eventually offered him a job after a position opened up, and Resendez jumped on board at his alma mater as a freshman offensive line coach. He began to move up the ladder, taking over as the head freshman coach after one season before earning the varsity defensive tackle job another year after that. When Kenny Perry took over the program as head coach in 2004, he gave Resendez an opportunity to move back into his comfort zone coaching wide receivers. Resendez was an all-district receiver at Haltom and was finally back working in his wheelhouse under Perry. 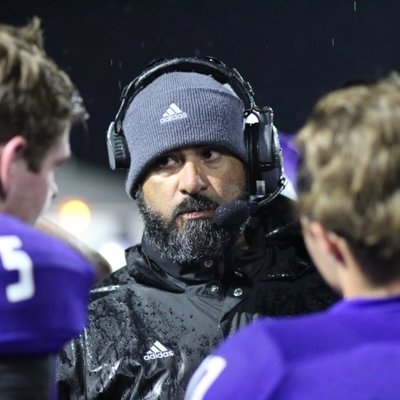 After steadily rising through the coaching ranks, Resendez felt prepared to take a leap of faith and begin to build a program of his own after three successful years as an offensive coordinator – two at Fort Worth Eastern Hills (2007-2008) and North Crowley (2009). Resendez, who had been an assistant for more than a decade, finally got his first chance to be a head coach the Fort Worth South Hills job opened up in 2010. The Scorpions went 1-17 in the two seasons prior to his arrival, but Resendez was confident he had developed a blueprint that would work at South Hills. As one of the few Hispanic head coaches in the DFW area, Resendez took over a school with a minority enrollment north of 94 percent, according to the Texas Tribune. “South Hills always had good looking kids, and they would fight and fight and fight,” Resendez said. “So, I think when that job came open, and then looking at the demographic – knowing it would be difficult as a minority to get into the suburbs – you kind of have to kick the door open when someone gives you an opportunity. Resendez’s plan produced drastic improvements right from the start. He spent the early part of his tenure working with the coaching staff to change the stigma surrounding South Hills, since families had the ability to choose where to send their students in Fort Worth ISD. South Hills then went 5-5 in his first season before winning four games in his second year. From there, the Scorpions went 6-4, 9-2, 10-1 and 10-1 over the next four seasons. Keeping the Wallace brothers – Tylan and Tracin – at South Hills was a huge part of the program’s success. Resendez could tell the two were special as he watched them run track at the Scorpions’ feeder middle school. Their play at the varsity level, Tracin at quarterback and Tylan at wide receiver, gave South Hills a one-two punch most programs across the state envied. The Wallace brothers are now at Oklahoma State, where Tylan broke onto the national scene while catching 79 passes for 1,408 yards and 11 touchdowns as a sophomore this year. Tracin is currently rehabbing a knee injury. “Those two young men were instrumental in helping turn the program around,” Resendez said. “Because of those two kids, it wasn’t such a bad concept to go to South Hills. People always said, ‘Those two will never end up there, they will never go to South Hills.’ And credit to the parents – they got to make their own footsteps, as opposed to following somebody else’s. After leading South Hills to the first back-to-back 10-win seasons in Fort Worth ISD since 1979, Resendez began to think back to a lesson his father, Julio Resendez, taught him when he was younger. He wanted to take on more responsibility in his career and began to think about serving as an athletic administrator in addition to his duties as a head football coach. As athletic coordinator and head coaching jobs began to open up around the metroplex in the offseason, JJ Resendez started trying to find the right fit for the next chapter in his career. When Chris James left Crowley to take over at Fort Worth Paschal, Resendez was intrigued by the opening. He tossed his name in the hat and was officially hired on April 12. The campus mission was something that was important for Resendez. He said superintendent Dr. Michael D. McFarland’s vision for Crowley ISD is to be the No. 1 ISD in Tarrant County by 2020, which aligns directly with the progressive thinking and competitive fire Resendez builds his athletic program around. Crowley went 7-4 in Resendez’s first season this year before being knocked out of the playoffs by Grapevine. Resendez and his staff will now enter their first offseason with the Eagles looking to instill the leadership and character development that formed the foundation of their success at South Hills. “I’m home,” Resendez said. “Crowley is home. This is a great place with great people and great support. We’re trying to shed the 6-4, 7-3 mentality. I know we went 7-3 [in the regular season], and we feel that we did good. But good is the enemy of great. We’re trying to build Crowley into a powerhouse.